The Never-Ending Race to the Bottom: Who’s Next? Many years ago, this writer was a delegate to the Alameda County Building Trades Council for his local of the Carpenters Union. At one point the executive secretary of the council (his name was Billy Ward) was preaching about how we have to help “our” contractors compete with the non-union contractors. I pointed out that the non-union bases their pay on what the union contractors are forced to pay. “If we take a cut, they will take a cut. So where will it all end?” I asked. The executive secretary tried to avoid my question but I wouldn’t let him. Every time he tried to move on I raised a “point of order” and asked again. Finally, in frustration, he threw his hands up in the air. “I don’t know where it will all end! Okay, John?” he exclaimed. That was about 40 years ago, and we haven’t ended yet. In fact, we’re not even close. Today’s Wall St. Journal (7/18/15) has an article which explains it perfectly. 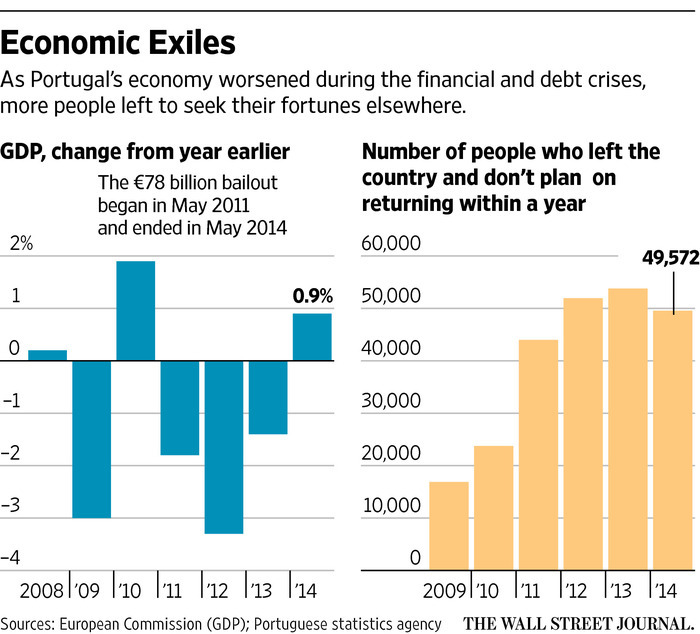 It reports on a small economic recovery in Portugal. There, an austerity program similar to Greece was imposed several years ago. Jobs disappeared and wages collapsed. The economy shrunk by 6% between 2011 and 2013. Hundreds of thousands of Portuguese fled the country. These economic refugees swelled the world’s labor pool, to be used by global capital to depress wages in other countries. Magically, in 2014 the Portuguese economy grew by 0.9%. With the domestic market dead, it must have been magic, right? Nope. It was based on a massive increase in exports. In 2009, exports were only 27% of the Portuguese economy. Last year they were 40%. In other words, as wages and other labor costs were cut, Portugal became a more profitable target for investment for sale on the world market. Who is next? 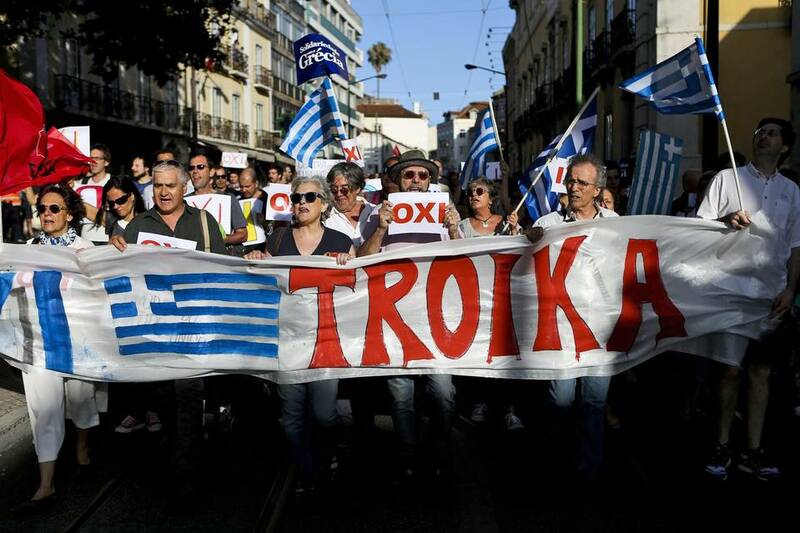 Will Greek workers be forced to continue down that road? Will the Spanish or Italians? How about the Germans? Couldn’t be, could it? Don’t be too sure; as this article shows, global capital already has their eyes on them. Here in the US, we’ve been driving down that road for decades now. Billy Ward didn’t know where it all would lead, but here it is, and it hasn’t stopped yet. It will only end in the ruination of the entire world working class. Either that, or the overthrow of the capitalist system. Portuguese workers march in support of the struggle of Greek workers’ fight against austerity.